Did you know you can customize Papillon Press cards? If you find one of our greeting cards would make a great birth announcement, party invitation, family Christmas card, business thank you card, etc. we can absolutely print an inside greeting in our cards to personalize it just for you (minimum quantities apply, obviously). 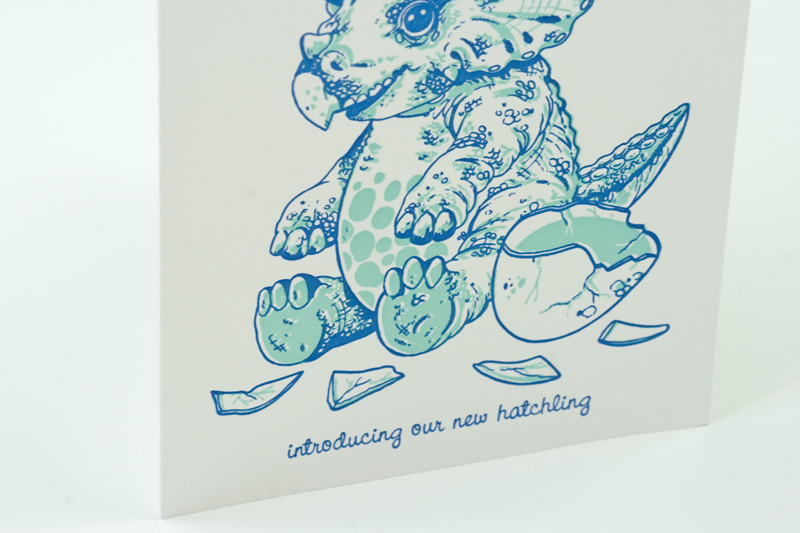 Westport parents Megan and Seamus thought our Baby Triceratops card would make a great birth announcement for their son Sam, so we printed a one colour greeting inside the card in a matching style. 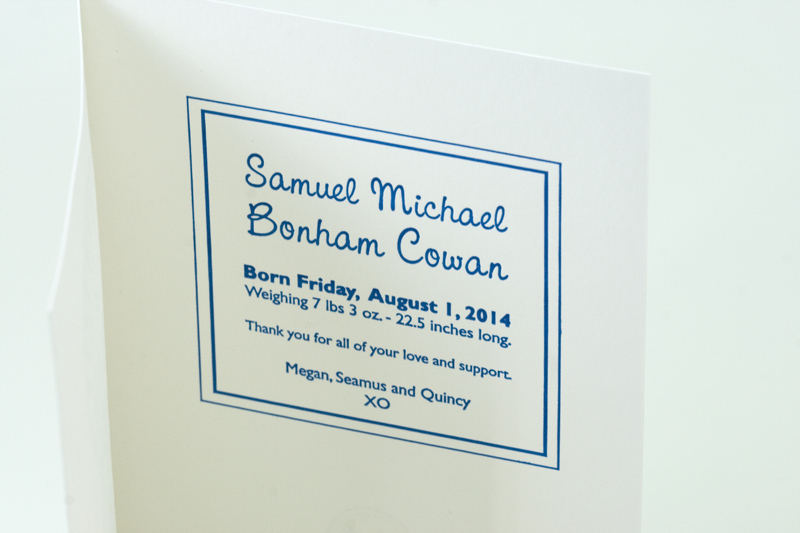 If you’re interested in personalizing on of our letterpress greeting cards,go ahead and get an estimate.